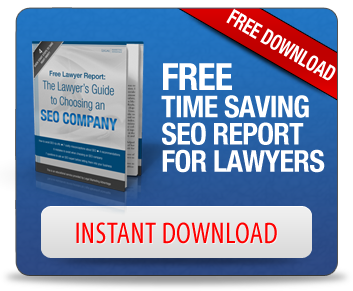 Here at Legal Marketing Advantage, we often provide firms with SEO tips geared toward one particular topic. However, it’s sometimes important to take a step back and look at the big picture. After all, a search engine optimization strategy that doesn’t utilize a wide variety of techniques isn’t going to work as well as one that does. Your firm needs to go all-out if it’s going to expand your client base the way you want to. A new article discusses the numerous things that one must do to create a successful SEO campaign, and we’ll talk about how your firm can utilize this information. One of the first suggestions is to conduct extensive research into the types of keywords that you want to rank for. For a law firm, that means that you have to go far beyond ranking for “Law Firm.” Attempting to rank for such a generic keyword will be expensive, and it typically won’t lead to results. Instead, you need to focus on ranking for a variety of long tail keywords that include your firm’s name, your practice areas, and perhaps most importantly, your location. If you want to rank for Baton Rouge drug recall lawyer, you also better optimize your site to rank for Baton Rouge drug recall attorney and Baton Rouge drug recall law firm. Researching the best keywords and focusing your efforts on those keywords goes hand in hand with implementing an excellent content strategy. Your content must be centered around those keywords you want to rank for, which makes sense. If your particular expertise is drug recall litigation, then you should certainly keep your finger on the pulse of any news related to that field. By bringing your clients information dedicated to what you want to be seen as an authority on, you help both clients and your standing in the search rankings. Social media is absolutely vital in this day and age. Search engines are looking at it as a sign of your place in the community, and your ranking is bound to suffer if your keyword and content strategies don’t carry over onto sites like Facebook and Twitter. Again, utilize information pertaining to your practice areas, and listen to the community to figure out what people are looking for. You also need to be able to go out and get the necessary links that would aid your profile. That’s why social media and authority are so important; they allow you to organically get people to link to your firm. Barring this, think about the relationships you already have in the legal community, and put out feelers as to which of your clients and legal acquaintances will link to your site. Finally, you have to have a way to monitor your progress. Pay attention to the analytics, and always test out new strategies to see what works and what doesn’t. For even more tips, click the link above. How Does a New Business Get Ahead in SEO?